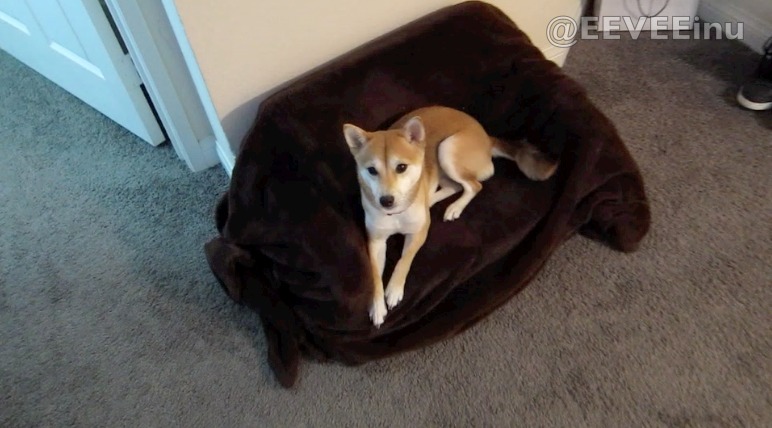 EEVEE inu - Your Daily Dose of Shiba : My Couch + NEW VIDEO! Screen shot from my new videoooo! It's from Target and is actually for children. It has a Mickey Mouse theme but we cover it with a blanket to make more comfortable for me - the foam is not that soft surprisingly. Mom took a quick video of me that you can watch below!